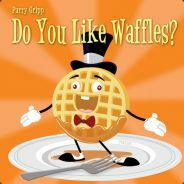 We Are The Waffles Join The Waffle Army! if you guys saw this "Gmod Camping Ground Map" showcase by venturiantale notice how immortalkyodai pretends to be a girl name "Sally" and likes waffles. SALLY WILL BE THE WAFFLE ARMIES END!